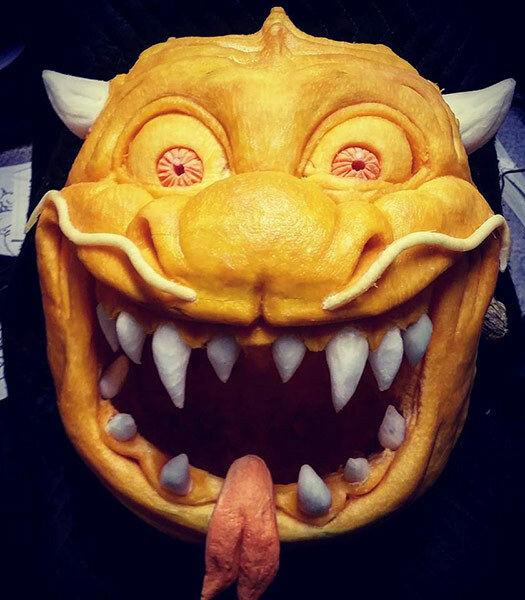 In this article you’ll see a bunch of tips for awesome pumpkin carvings. 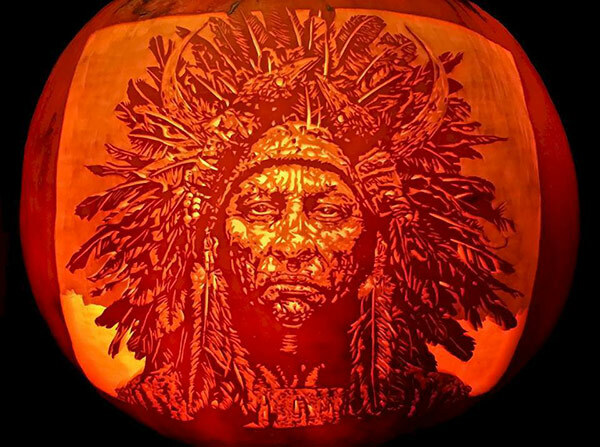 These remarkable pumpkin carvings were created by some very talented and skilled artist. 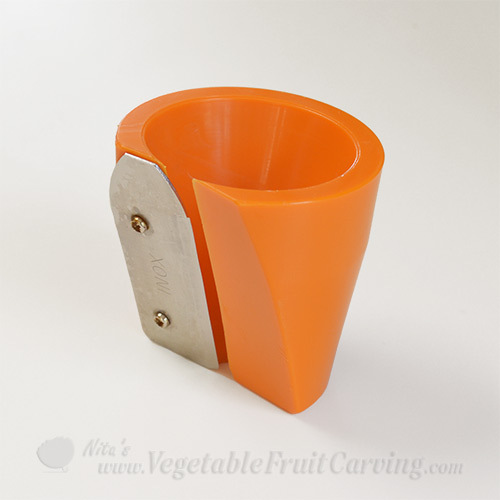 But, even if you are a basic pumpkin carving, look at these with the idea of improving your pumpkin carvings. 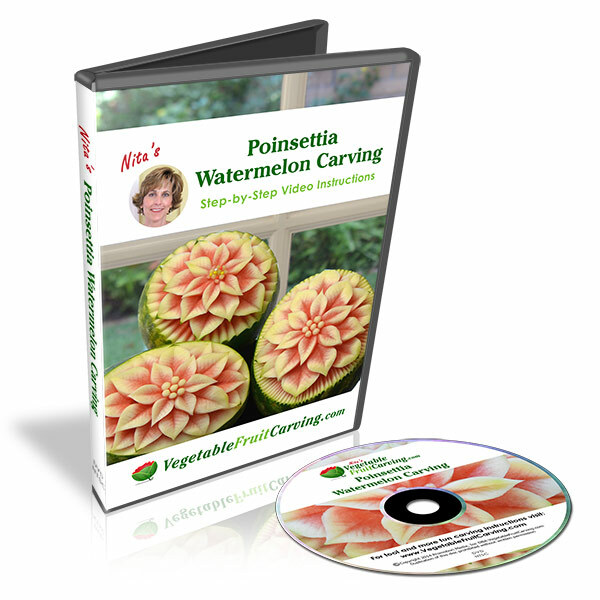 You’ll see several great tips that you can apply to your next carvings, even if they are much simpler carvings. 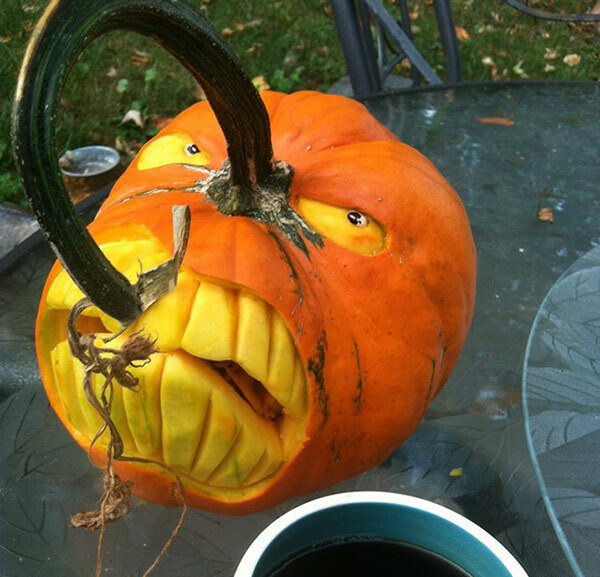 Patrick Harrison’s pumpkin carving uses the pumpkin stem as a nose. You can do the same with your own simpler carvings. Looks like he also used black eyes peas for the pupils of the eyes. When shopping for your carving pumpkins think about how you can use strangely shaped pumpkins and gourds to make something unexpected and fun. Let the pumpkin or gourd tell you what it wants to be. 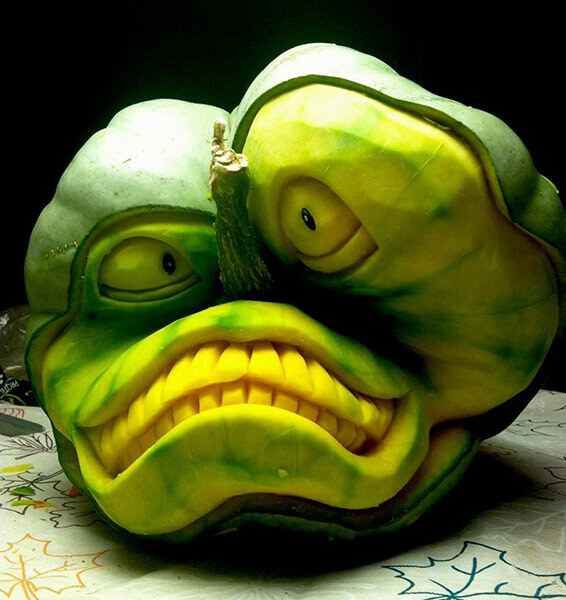 Patrick Harrison used an oddly shaped gourd to make this lopsided faced creature. Don’t be afraid to add unexpected materials and colors to your pumpkin carvings. This third carving by Patrick Harrison uses an oddly shaped gourd, a stem for a nose, AND some additional fake spider web material as eyebrows and hair. Wonderful, isn’t it? 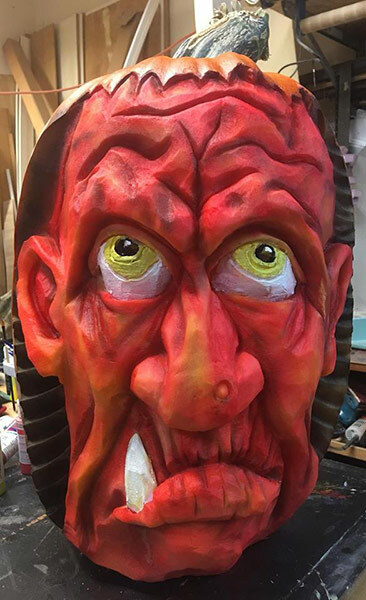 Tom Lindskog added paints to add a variety of color to this devilish face. 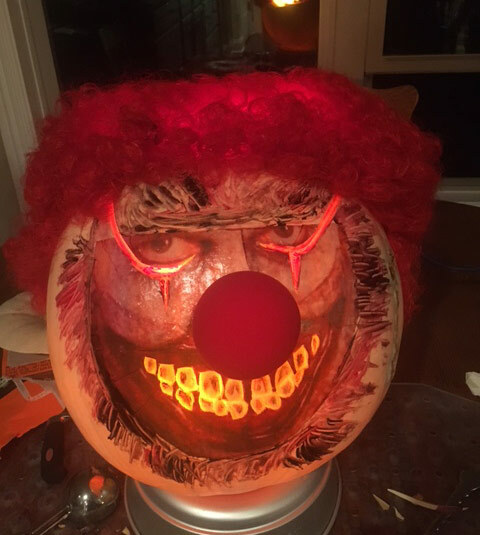 What makes this clown really creepy is that Brian printed a photo of eyes unto our Pattern Transfer Paper and stuck them onto the pumpkin. In addition, he added a clown nose and orange hair. The teeth and the lines around the eyes are carved. The overall effect is delightfully C-R-E-E-E-E-P-Y isn’t it? 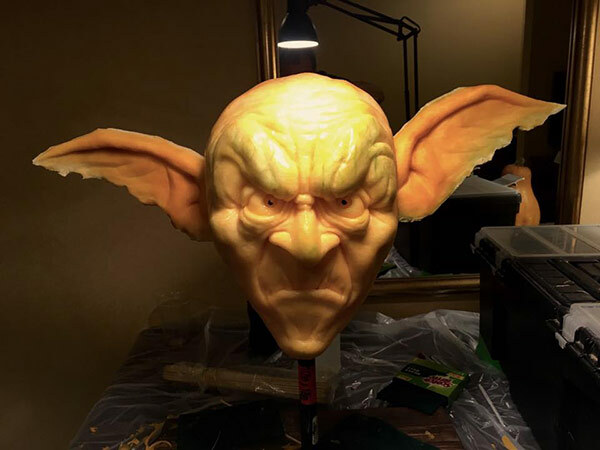 Mike Brown added extended ears carved from another pumpkin to this goblin’s head. Amazing sculpting, don’t you think? 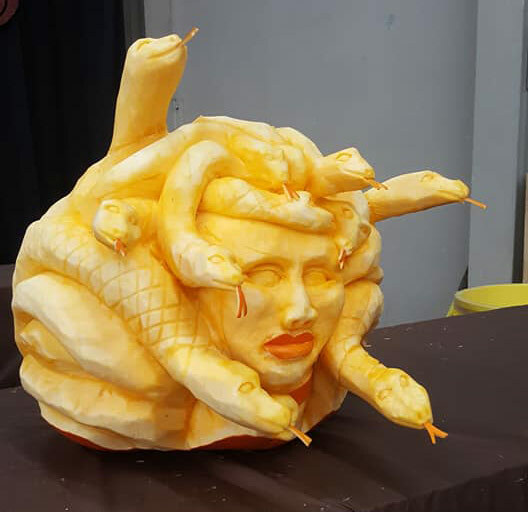 If you look closely at the longest snakes of Russ Leno’s Medusa pumpkin carving, you’ll see that they are added on pieces of carved pumpkin. And the forked tongues of the snakes are added bits of pumpkin rind. See how beautifully Wade Lap carved and added carrot eyes, and white horns and teeth. 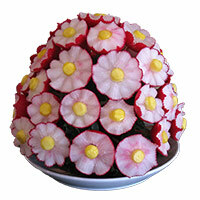 White elements (like the teeth and horns) can be carved using diakon radish, turnip, or jicama. The spaghetti like whiskers and the orange tongue were added as well. 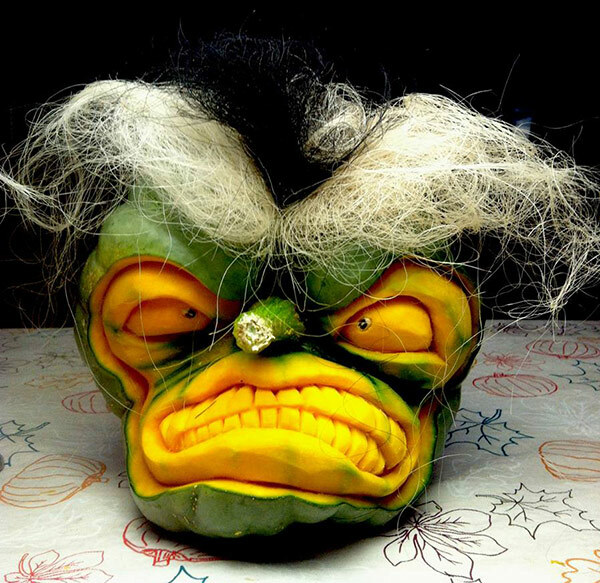 Wade Lapp added some similar added elements made from other vegetables on this scary head that reminds me of a dangler fish. Another excellent carving by Wade! Jacqueline-Koepfer carved this magnificent Native American in full headdress. The varying shades of light and dark are achieved by the depth of the carving. We teach this technique in our Portrait Carving Course which is available in our online shop. Our Pattern Transfer Materials are SUPER helpful when making these types of carvings. 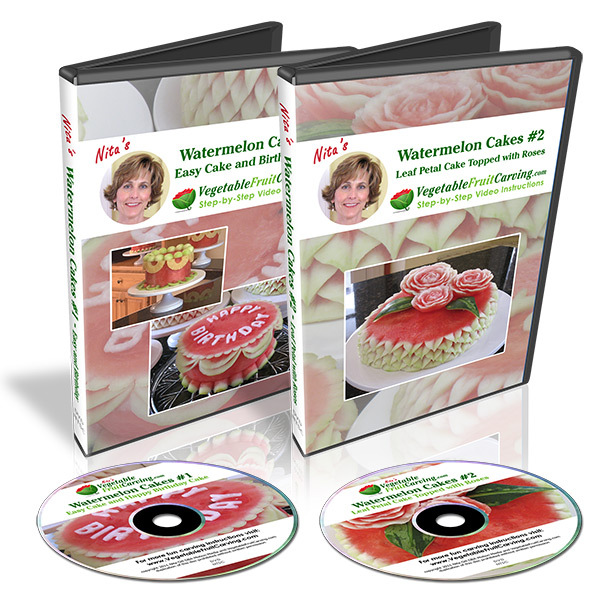 They make it fast and easy to transfer even the most detailed patterns. Click here to see another of our blog posts that features a video showing a simple pumpkin lantern carved at various depths. You will see how you can end up with varying tones of light and dark. 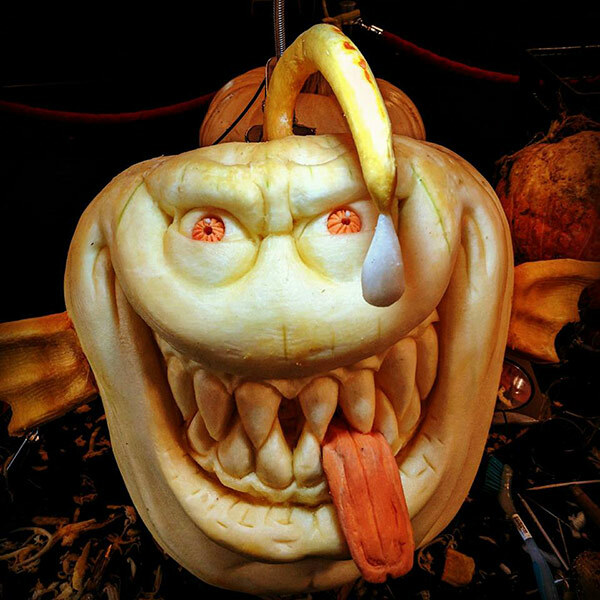 I hope that you’ve enjoyed seeing these creative tips for awesome pumpkin carvings. Have fun making your own.